Whether you enjoy sailing, motor boating, or paddling by your own power, this lake will sure to please. There is a 100+ slip full-service marina connected to the local resort peninsula by where you can dock, refuel, and stock up your boat. The marina features both electrical and water connections and has slips that can accommodate up to an 80 foot houseboat. Homeowners, regardless of where their home is located, have the opportunity to lease a slip at a neighborhood dock. These neighborhood docks feature electrical connections and year-round maintenance come at a reasonable cost. 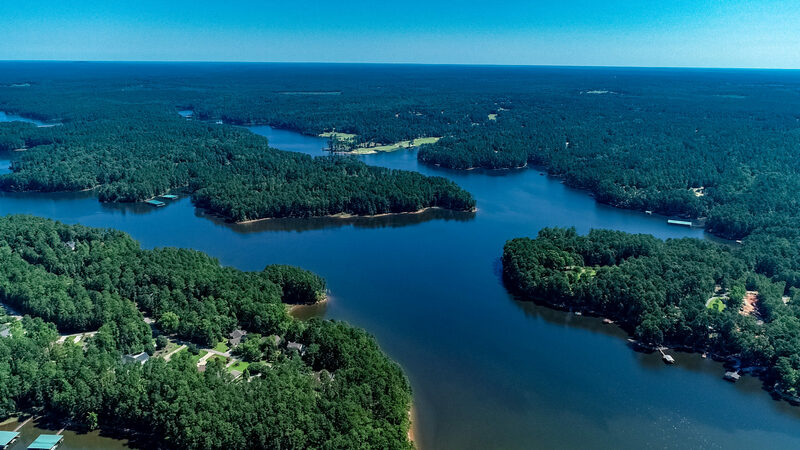 Lake Thurmond offers the perfect conditions for all watersports. Kayaking, canoeing, or paddleboarding across the lake is an easy feat no matter where you launch from. There are no major hazards apart from fishermen and other boaters that you need to be concerned with. Unlike some other lakes and rivers, there are no animal predators (such as alligators) to concern yourself with while enjoying your watersports.